Do you need a bigger file? The file available on this site is 1024 x 960 px. To obtain an alternate file type or higher resolution copy, please contact the owning institution. 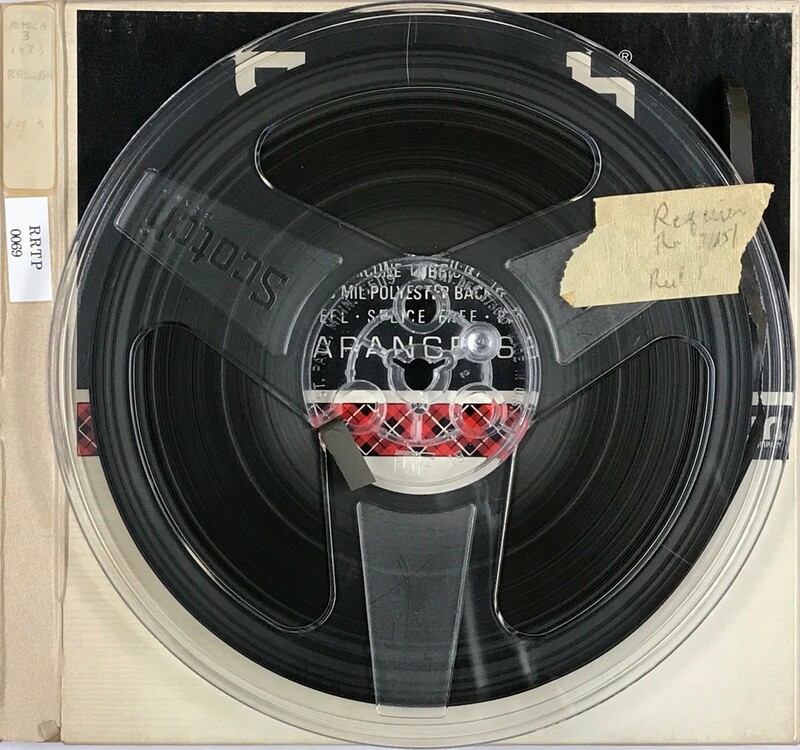 Scope/Content: Recording of the UCI University Chorus and Orchestra performance of the Verdi Requiem recorded at the University of California, Irvine on March 17, 1973. Performers: Nancy Bramlage, soprano ; Jane Westbrook, mezzo-soprano ; Robert Mazzarella, tenor ; John Kliewer, bass ; The UCI University Chorus and Orchestra ; Maurice Allard, cond.